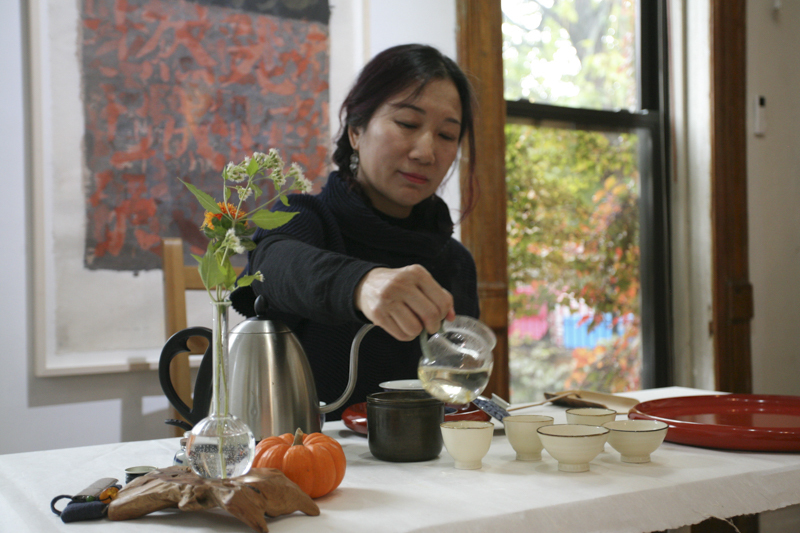 Dai Lanzhi making tea at Fou Gallery, February 2017. Fou Gallery, artist Wei Jia, and tea art practitioner Dai Lanzhi would like to invite you to attend our literati gathering and tea ceremony. 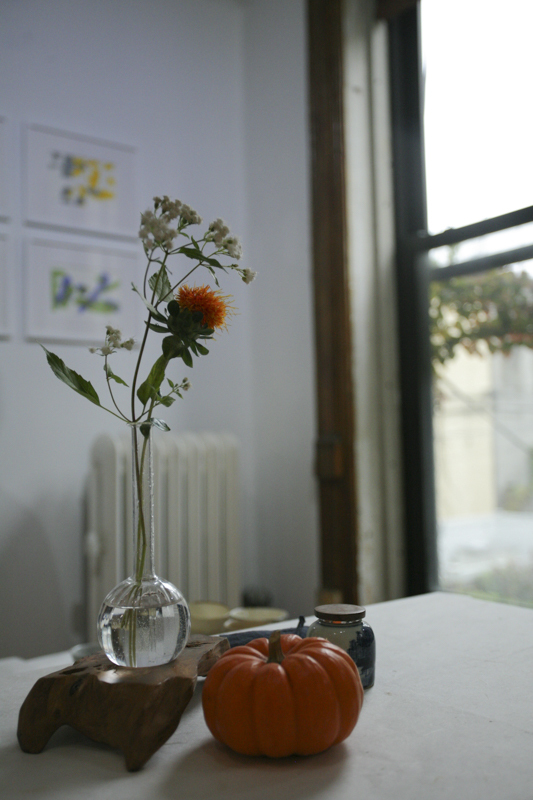 Participants will view Fou Gallery's current exhibition Wei Jia: A Way of Life, appreciate two special tea and artisan tea utensils. Tea: Fuzhou Jasmine Tea, made with the first sprouted single bud of silver needle and the jasmine flowers. The whole 9 scenting processes take about one month to complete. Tea: Fang Ye White Peony Tea, traditionally made with nothing but the sun and the wind. The tea is laid out on bamboo sheets at the perfect angle to catch scorching sunray while simultaneously being cool down by natural wind. About the Exhibition: Wei Jia: A Way of Life is on view from October 13, 2018 to December 23, 2018. An ordinary person, living an ordinary life in his ordinary attitude and doing ordinary things, Wei loves traditional Chinese art but does not follow conventional rules. He interprets the tradition in his own way and gives it a broader meaning. 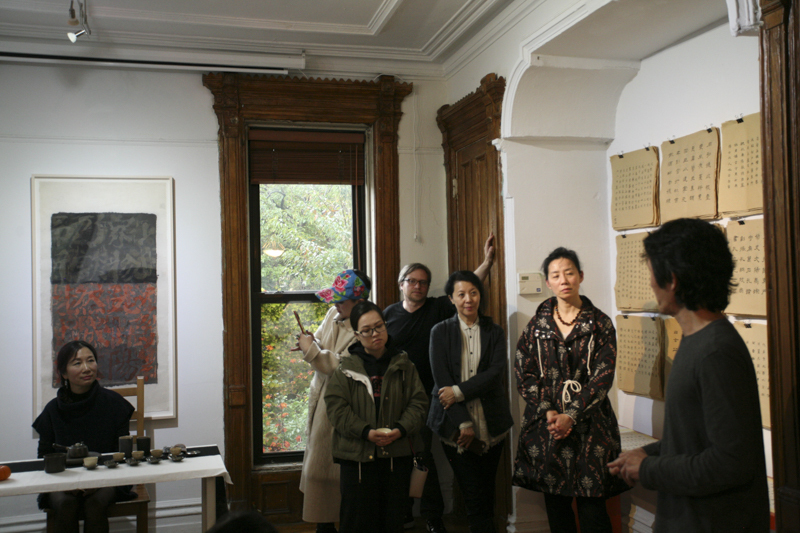 This exhibition presents his daily work in Brooklyn, New York in recent years, including Xuan paper (rice paper) collages on large­-scale canvases, works on paper, hand scrolls, calligraphy albums, small manuscripts, and a site-specific installation. This exhibition showcases Wei’s complete creative process and his creative state to explore the connection between art making and daily life. Wei began to learn Chinese poetry and landscape painting with the renowned collector Zhang Boju and his wife Pan Su at an early age, which deeply influenced his entire life. Later, he studied oil painting at the Central Academy of Fine Arts. In 1985, he went to the United States to obtain a MFA. After 1993, he settled down in Brooklyn, New York. He uses Xuan paper as primary medium, mixing ink, gouache, acrylic and other pigments on it. He writes calligraphy, then tears off the paper, reorganizes the pieces, and repeats the process to make collages. In such a process of accidental changes and inevitable forces, his life experience and artistic experience are integrated into visual images. A Gathering - Tea Ceremony and Calligraphy. Photographs by Echo He.